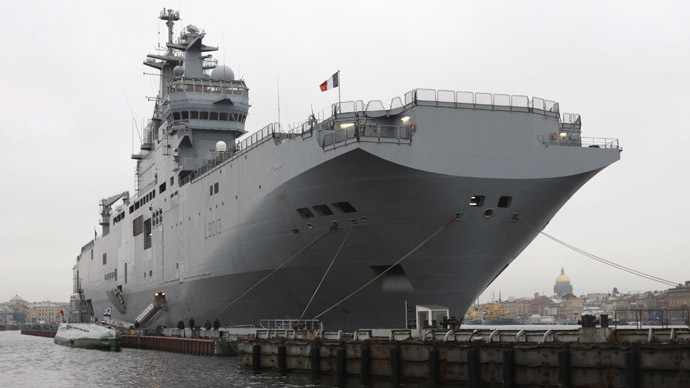 Four hundred Russian sailors have arrived at the port of Saint-Nazaire, France for training on Russia's first Mistral helicopter carrier, which is being built at a French shipyard. 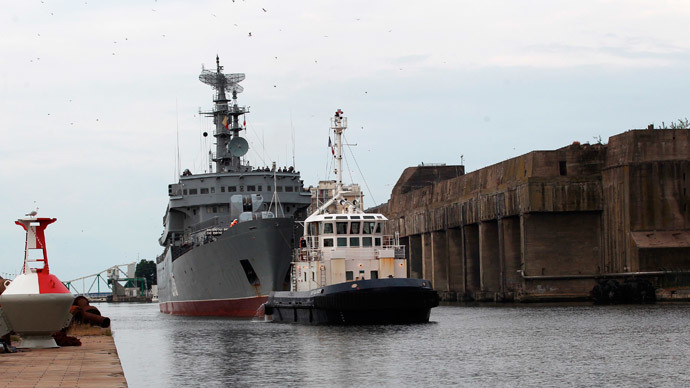 Russia's training vessel, the Smolny, docked in the northwestern France port on Monday, Itar-Tass reported. 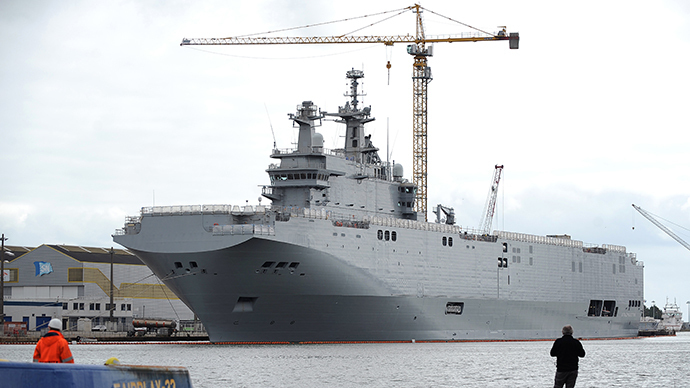 Russian naval personnel, divided into two crews of 200 people, will be training on the Vladivostok – one of two Mistral class vessels currently under construction in Saint-Nazaire. During the exercises, the sailors will reside aboard the Smolny, which will become their floating barracks. France 3 TV channel earlier reported that the Russian sailors were to initially arrive in France on June 1, but the Smolny was damaged at Russia's Kronshtadt naval base and had to undergo repairs. After their training is complete, the crew will deliver the Vladivostok to Saint Petersburg, where it will be equipped with the newest Russian weaponry. Russia’s Far Eastern city of Vladivostok, for which the vessel is named, will eventually become the home port for the French-built helicopter carrier. French contractor DCNS told the news outlet that the handover ceremony of the Vladivostok vessel to the Russian side will take place in October or November. The 1.12 billion euro (US$1.5 billion) contract to construct two Mistral-class ships was signed by Russian defense exporting company Rosoboronexport and DCNS in June 2011. The second Mistral-class helicopter carrier, the Sevastopol, is expected to be handed over to Russia by the end of 2015. The delivery of the Mistral-class warships was jeopardized in March, when the EU and US imposed sanctions against Moscow after the Republic of Crimea parted ways with crisis-hit Ukraine and reunited with Russia. American lawmakers even called on France to reconsider the sale of the two Mistral ships to Russia and instead allow NATO to buy or lease them. But French President Francois Hollande assured earlier in June that France would fulfill its contract obligations, adding that he saw no obstacles to delivering the warships on time. 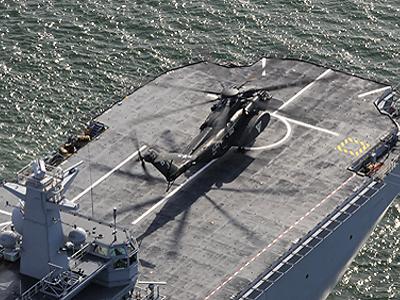 Mistral class landing helicopter carriers have the capability of performing four tasks at the same time: receiving helicopters and landing troops, as well as acting as a command post and a floating hospital. Each ship is capable of carrying a fleet of 16 helicopters, with six of them simultaneously deployed on the flight deck. The cargo deck of the Mistral class vessel can accommodate more than 40 tanks or 70 motorized vehicles. The ships, which have a crew of 170 members, can take an additional 450 people on board. They have a displacement of 21 tons and a maximum body length of 210 meters, along with a speed of 18 knots and a range of up to 20,000 miles.